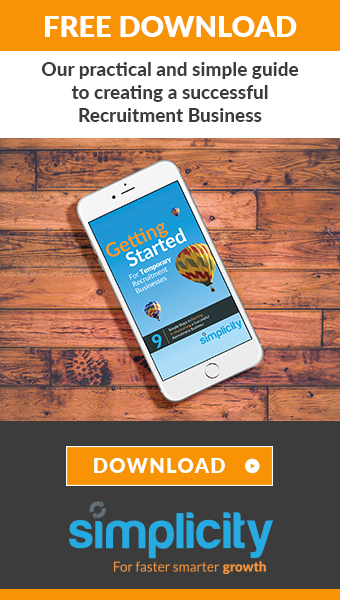 “I’ve been in recruitment for many years for now within the Financial Services and Banking sector and it appeared to me that all recruiters are doing the same thing, inefficiently working their b***ocks off every day with no other alternative. The experienced recruiters just get quicker at it, the job has remained the same for years and years. On researching there wasn’t a tech or software product which could be the Bloomberg of the staffing industry, and I genuinely feel TT could become the next disrupter of the recruitment industry. How is Talent Ticker going to add value? What do you think the impact of technology in recruitment will be? What can we expect from TT over the next few years? “Within the next 3 yrs Talent Ticker will be able to automate many of the slow processes for recruitment consultants. As a vertical market specialist we will be able to connect up all live open opportunities in your market space so you can pull jobs on, even if you are on the PSL for big banks, we can give you the insight to those jobs meaning you can get ahead of the curve. In the near future I foresee Talent Ticker doing the candidate searching for you, pre-qualifying long lists via an AI chatbot, and shortlist prequalified candidates for you against opportunities. All you need to do is press the send button on a pre-written email to send a shortlist out. Who are TT’s main competitors? “The beautiful thing about Talent Ticker is we are looking at the full lifecycle of recruitment for the recruiters, internal, external, agency and RPO’s and we are augmenting that process with market intelligence. No one in the world right now is purely focused on market intelligence within the recruitment industry or being the Bloomberg of recruiting. Where we want to be is to utilize all the worlds online resources to create and compose our specific data needs within the recruitment industry. 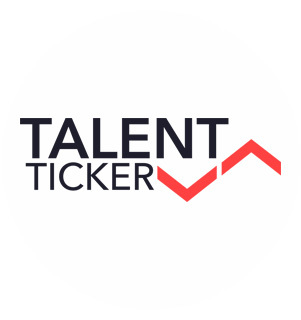 Talent Ticker is a SaaS firm that utilises artificial intelligence to enable predictive analytics that provides you with market intelligence across the staffing industry. An intelligent platform for Recruiters, Business leaders & HR within the Banking & Financial Services industry. Through their proprietary AI & predictive technology, Talent Ticker is able to predict when companies are hiring & downsizing. They facilitate the hiring process by giving you the resources needed to call the right people at the right time, every-time, helping you to find talent and jobs the smart way.